Welcome to the Fast Technical Services Website. Here you can find out what services I offer. I can fix problems with your windows, doors, glass units, double glazing, UPVC products, broken hinges and broken handles without the need for expensive replacements. Have the glass units in your UPVC windows gone misty? Is your double glazing obscuring your vision? Have no fear, by clicking on the above image you can find out what I can do to rectify the situation! I can diagnose any issues you may be experiencing including draughts, broken down hinges, broken handles and double glazing repairs. Click on the window above for more info. Click on the above image to see how I can repair your UPVC doors, including the hinges, handles, draught-proofing and double glazing issues. One year guarantee with all our work, no questions asked! Please read terms and conditions below. If any fault arises within guarantee period, then we will re-fix or replace the faulty item free of charge. Your safety is our highest priority. We will ensure 100% safety and security from thieves/intruders. We use high quality products in all our repairs. All our products comes with one year warranty. All repair jobs are carried out by expert fabricators, with 5+ years experience in the double glazing industry. Please inspect completed work in details to ensure your 100% safety, security and satisfaction. Notify us of any defect with our work within 90 days, this doesn't include glass replacements. Our guarantee excludes damage or faults due to accident, misuse or neglect, fair wear and tear. If necessary maintenance is not carried out or products are misused, our guarantee will be void. Our guarantee excludes defects in the installation or products, where the work wasn't carried out by us. Prices and or quotations made in good faith, do not constitute offer and are subject to variation or withdrawal without notice. Fast Repair Dubai shall not be bound by any quotation, contract incorporating a quotation, statement of account or other containing an error or omission arising from an individual. We reserve the right to cancel or discontinue any repair as a result of the customer’s actions, negligence, non-payment, disagreement or any other reason that prevents us from completing our obligations. Fast Repair Dubai will use all reasonable endeavors to meet pre-arranged repair dates and times, but any such dates and times are to be treated as estimates only. If repair is delayed for any cause whatsoever, we will not be liable for any expense or loss sustained by the customer or any other person in consequence thereof, nor shall any such delay entitle the customer to rescind the scheduled repair. Broken hinges/handles, the only remedy is to replace the failed part. 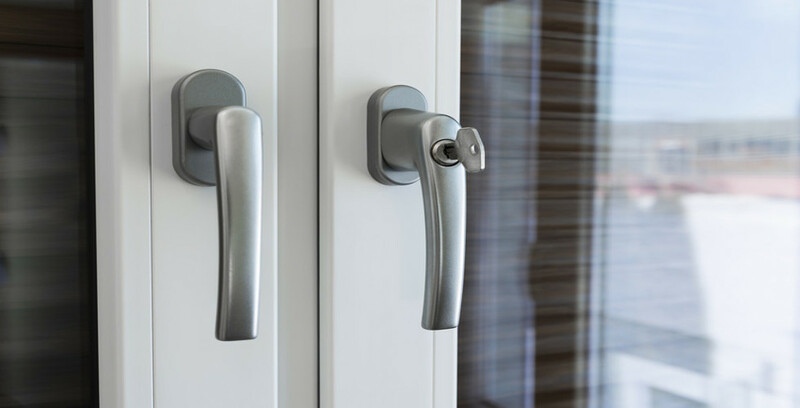 As metal parts get older hinges/handles are often prone to wear/rusting due to exposure to the elements as the door is opened & closed, plastic parts get brittle and snap, hinges wear out. Broken hinges/handles, the only remedy is to replace the failed part. As metal parts get older hinges/handles are often prone to wear/rusting due to exposure to the elements when the window is left open, and plastic parts get brittle and snap. Locks can fail for a wide variety of reasons. Age can wear down the mechanism or in some instances an attempted break-in can lead to faults, or simply the lock has never been oiled. Often if a lock fails, it's an ideal opportunity to upgrade your lock for a more secure model. People often choose lock upgrades for peace of mind or as a result of Police or Insurance company recommendations. If you have a misted sealed unit this means that the unit has broken down. You don't have to go out and buy new windows, all I need to do is replace the sealed glass unit and save on cost. This can be done on almost every type of window from aluminium to UPVC. When your sealed unit has broken down the insulating efficiency is reduced. This is caused by wet air, i.e. condensation between the glass panes. I replace the broken double glazing and misted glass units as quickly and efficiently as possible, sometimes the same day. I'm able to match existing patterns so you can be sure that the finished job looks as good as the original.